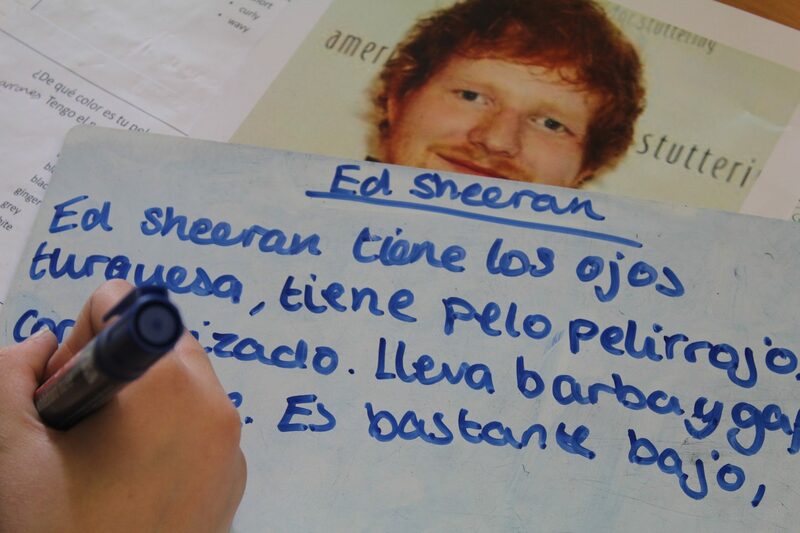 As part of the End of Unit in Spanish Year 7 have learnt about physical and personality descriptions. 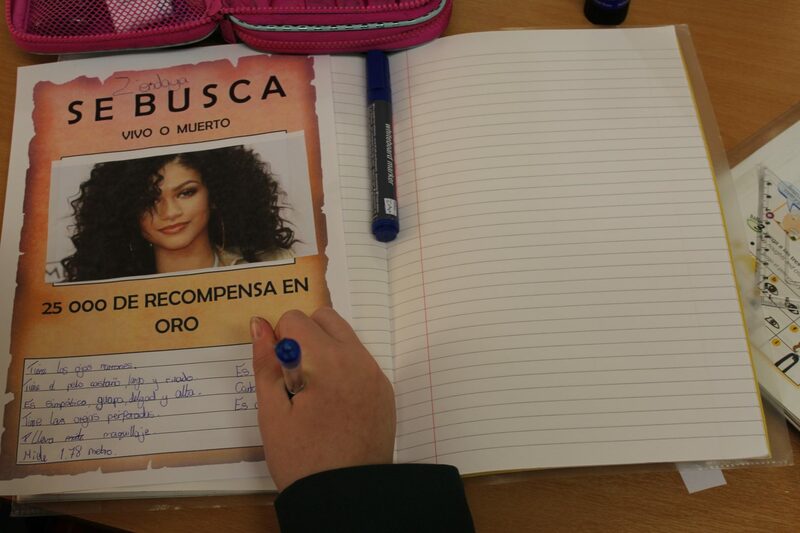 Pupils have created WANTED Posters about their favourite Actor, singer, rugby player, F1 driver etc. When describing certain aspects of their chosen personality students sought assistance to find some descriptions, using iPads and referring to www.wordreference.com to find the correct translation. One of the new words: A “six pack” which in Spanish is “tableta de chocolate. Chocolate bar!